Phone Price Lanka is the smartphones price indexing website offering the latest prices of the Brand New smartphones, Tablets, Phone cases and other mobile phone accessories in Sri Lanka. Our online platform offers prices of Sri Lankan top Smartphones brands such as Apple, Samsung, Google Pixel, Huawei, OPPO, OnePlus, Nokia, Xiaomi, POCO, LG, HTC, VIVO, Asus, Motorola, Lenovo, Sony, Meizu and much more. We dedicate to provide latest prices and other essential information like Hardware specifications, Special features, Colors and Models. Also we share some tips and tricks such as how to fix some small issues on your mobile devises. Our goal is helping you to buy the right Smartphone at the right price. Prices shown in page based on the information shared by the authorized distributor or the re-seller of the relevant Brand. 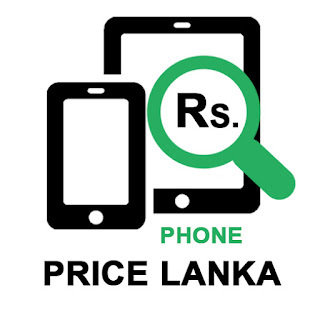 Welcome to Phone Price Lanka and discover the Brand New prices and the current offers of new smartphones, Tablets, Phone cases covers, Earphones, Phone chargers, Phone batteries and other mobile phone accessories in Sri Lanka. If you require any further information, feel free to Contact Us. Find your Dream Smartphone in Phone Price Lanka!